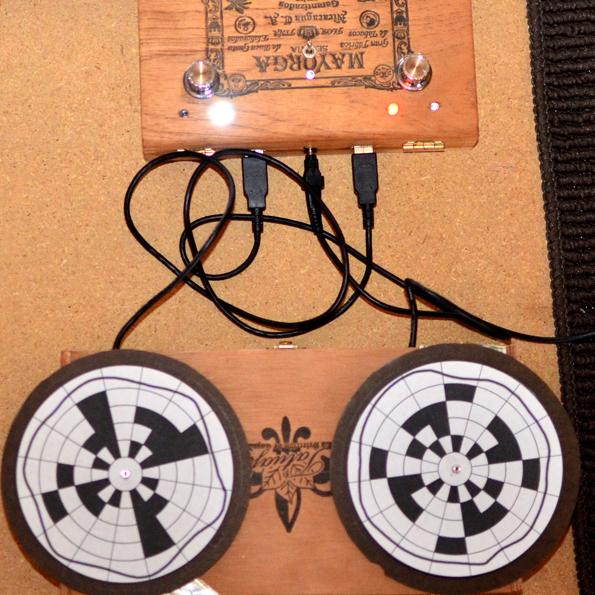 Optical DJ generates a musical experience for even the least tech savy artist. By coloring in encoder discs, users can create a variety of steps and beats that are interpreted by the software as observed by a PS3 Eye Camera. When the camera detects a darkened area of the disc, a percussive sound is triggered in a 16-beat pattern.